Don’t let the chills keep you up at night, haul out those extra throws and line your bed with an electric blanket if you’re so inclined. If you aren’t a fan, swap your light summer duvet for a thicker winter one. Look out for the tog rating when you are buying a duvet, the higher the tog rating, the warmer the duvet, with anything up to 7.5 suitable for warmer months, 7.5 -10.5 for Spring and Autumn; and anything over 10 tog for winter. There’s no way you’re wearing crop tops, bikinis or light cotton skirts until at least October, so pack them up in a suitcase and store them away, making a little more space for those thick jumpers, jackets and scarves. Short on time but not on clothes that are in desperate need of sorting? 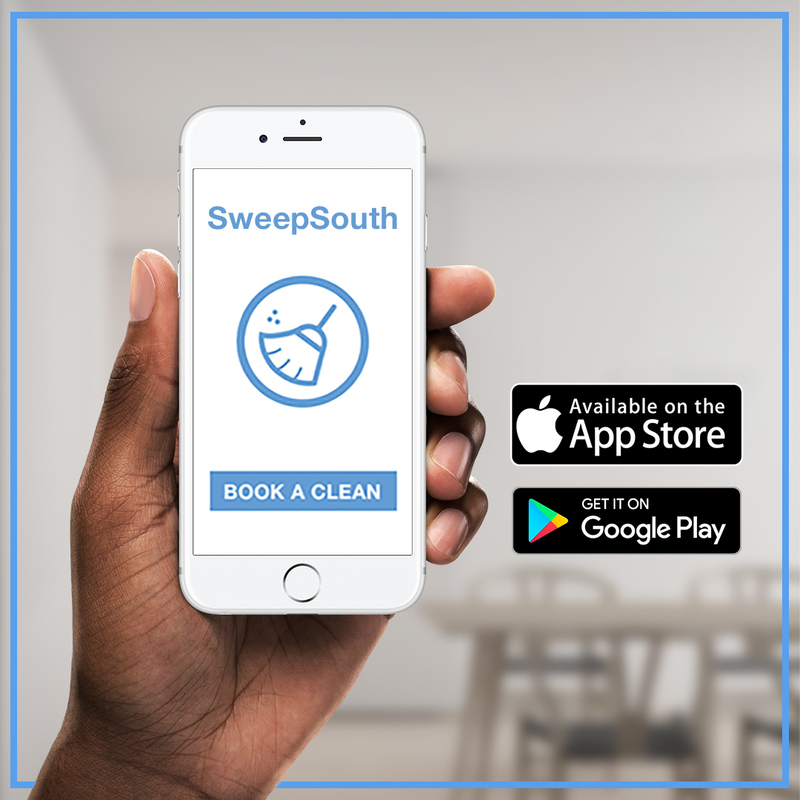 Book a clean with SweepSouth and let us take that task off your hands – as well as any other chores you never seem to get around to! Cracks and gaps in your window panes and wind bellowing in beneath your door can bring a serious chill into any room. Get your home sealed up as best you can to insulate your home and protect you from the outside chill getting in. The thicker and heavier your curtains, the more they will act as a buffer between the cold that’s creeping in through the window panes and the rest of the room – think of them as a jersey for your home! During winter you’re bound to spend more time indoors, so make your space one where you’re happy spending time. De-clutter and clear some extra room by packing away the stuff you tend to not use in winter, like that tennis racket that is usually dumped right by the doorstep or those beach towels that are scattered around, never more than an arms’ reach away during the summer months. As predictable as the seasons, as soon as the weather turns, there’s a shortage of gas. Whether you’re heating your home or cooking with gas, stock up in good time so you never go cold or hungry! If you have an indoor braai or wood fireplace, stock up on dry firewood and store it indoors so you don’t smoke the place out with damp logs. Is there anything better than winter sun? If the sun is shining during the day, draw back the curtains and let the light pour in and warm your rooms for those few precious hours. Don’t waste time, energy and money trying to heat the whole house if you aren’t using the entire space, or don’t require all the rooms to be warm. If no one stays in one of the bedrooms, close the door to contain the heat you’ve generated in the rooms you are using, rather than lose the warmth. You can lose up to 10% heat through your floors if they’re not insulated, so if you have tiles or wooden flooring, rugs and blankets can help minimise heat loss, plus they help keep bare or stockinged feet warm.